We’re at it again! Richard spoke at WordPress North East yesterday on WordPress and events websites. Peacock Carter build a lot of websites using WordPress, with it being especially good for smaller websites where the client wants to add and edit content easily. WordPress also allows us to build very heavily customised designs (including mobile-friendly WordPress websites) which reflect the client’s branding and goals. One fairly typical feature request we have from clients for their WordPress websites is the ability to add events (such as for a recent WordPress events website we built for a client). There are a lot of WordPress events plugins available – many for free – which allow you to start adding and listing events in WordPress quickly, but this can be baffling as they all offer varying functionality, and some have paid versions with even more functionality. Richard’s talk focused on events plugins, and compared the various features each had. 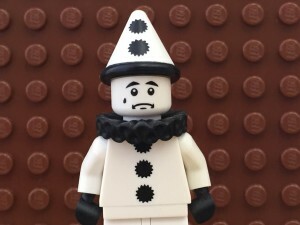 And, in Richard’s true style, he managed to get some LEGO in to the slides too, with the happy and sad clowns reflecting whether a particular plugin he was reviewing met the client’s requirements. Many thanks to Richie, too, who gave a great demo of running Composer with WordPress! What is WordPress North East? The WordPress North East is a free meet-up open to all, and Campus North are even kind enough to provide a few free beers for attendees, as well as their excellent classroom to give us space and facilities to speak! The event runs every two months, and has people of a great range of abilities, from WordPress beginners to expert WordPress designers and developers.